At last! Now four choices of very reasonably priced vacuum tube dampers that not only damp microphonic-inducing vibration, but three of these cool the tube as well. These are tailored to specific needs, and solve multiple audiophile vacuum tube issues, and they are pleasing visually for open tube design equipment. 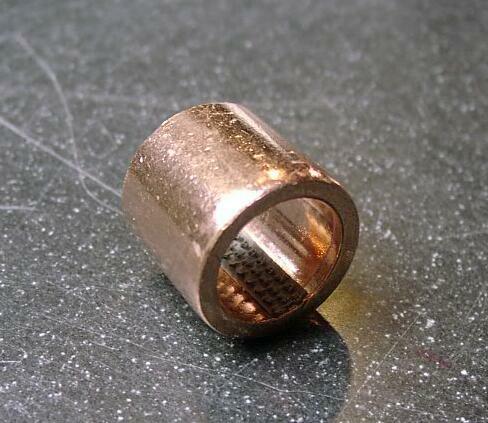 These are available for 9 pin miniature tubes, and one type for GT and ST shape tubes. 9 pin tubes include the 12AX7, 12AT7, 12AU7, 6DJ8, 6922, 6BQ5/EL84, 6CA4/EZ81, and other glass types having the 9-pin base. We also have dampers intended for high bulb temperature tubes like the 5687 and the 6BQ5/EL84. Please specify which tubes you want to use the dampers on and we will supply you with the appropriate type. The Silicone Stopper is available for all power tubes like the 6V6, EL34, 5881, and GT octal base type twin triodes like the 6SN7 and 6SL7. 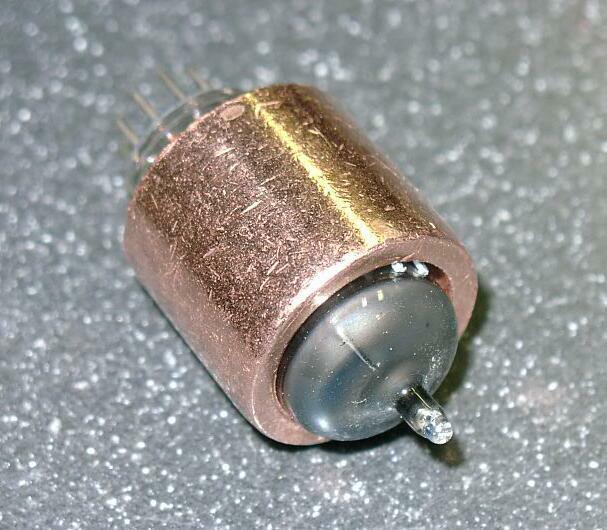 They can also be used on rectifier tubes like the GZ34 and the 5Y3GT. The Cinch Military Damper/Shield is perfect for all 9 pin glass preamp and power pentodes. CLIENT COMMENTS: "I installed a combination of the military cinches, brass rings, and silicone rings on my Fisher 500-C. The process was straight forward and the result instantaneous. Whether Nina Simone at Newport, Desmond and Brubeck taking five, Kraftwerk giving up some "Computer Love", the hammering of the toms on The Smiths "The Queen is Dead", or Prince proclaiming he's a star, everything was more pronounced, separated, and realistic. Simply fantastic. Thanks. B.C." LEFT: The Brass Ring Vacuum Tube Damper/Cooler. 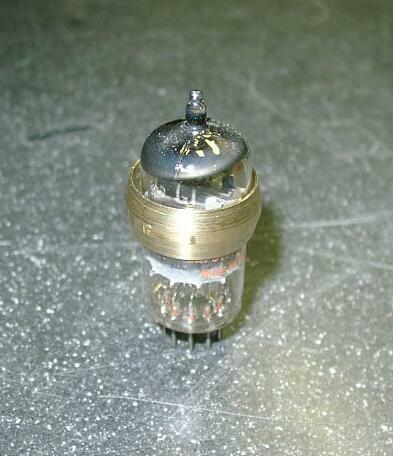 RIGHT: The Copper Stopper Vacuum Tube Damper/Cooler. Brent Jessee Recording presents four problem solving vacuum tube accessories that set a new standard for vacuum tube dampers and coolers! The Brass Ringtm; just $12.99, is an effective, solid brass tube damper, cooler, and adds a visually rich touch of gold to your equipment. The Copper Stoppertm; just $24.99, is a massive, solid copper surround that solves even stubborn microphonic and image smear problems, shields against stray RF and electromagnetic hum fields, and cools the tube better than any other tube accessory on the market! Both accessories will effectively damp tube vibrations that can cause ringing, microphonics, and sonic distortions. Since these are both constructed of solid metal, they will effectively cool the tube by convection and radiate the heat away faster than a tube with no cooler attached. Both of these have an internal heat-resistant strip of multiple shock-absorbing "fingers" that grip the tube gently, and is firmly bonded to the metal. Both types are also available for use on tubes with very high bulb temperatures. These high temperature metal dampers use a specially-bonded cushion insert of pure Teflon for superior performance under extreme temperatures, such as those found on tubes like the 6BQ5/EL84 and others. Let us know which tubes you want dampers for and we will supply you with the appropriate type. The $18.99 Military Cinch damper/shieldtm; Made for the US Military, military spec number MS-24233-5, these aircraft grade aluminum shields completely surround your sensitive 9 pin glass preamp tubes. Inside, from the mid-section to the top, there are two rows of 21 spring steel "fingers", in alternating up-down positions, that gently grip the tube. These 42 total cushions give the most intimate contact of the damper to the tube, more so than any other damper on the market. Our current stock is slightly shorter than in the photo, but the dampers are as described otherwise.The Silicone Stoppertm; just $4.99 for TWO, is the solution for microphonics and ringing in larger power tubes and octal base twin triodes like the 6SN7 and 6SL7. This flexible pair of high temperature silicone rings fits perfectly over larger tubes and damps the vibration problems dead. 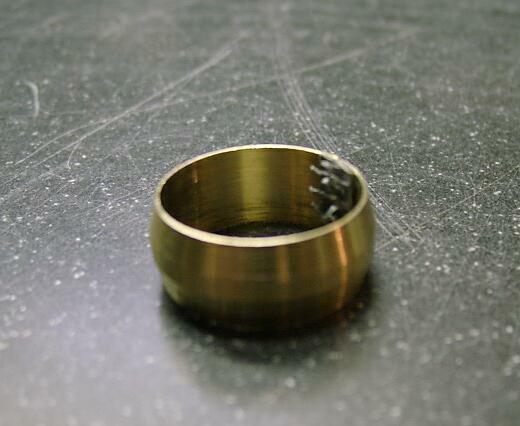 This elegant ring of solid brass will solve most vibration, microphonic, and audio image problems. Just 1/4 inch wide and gently tapered from the center to each edge, this gleaming ring of solid brass slips onto any 7 or 9 pin miniature glass tube. The special internal cushion of heat-resistant plastic "fingers" grips and holds the tube, damping the vibrations that may be present. This pulls the opposite side of the ring into intimate contact with the glass, where the metal wicks away the heat and radiates it away from the tube. Our listening tests with The Brass Ring have discovered it opens up recorded music, and surrounds each instrument with air in a wide and deep soundstage. 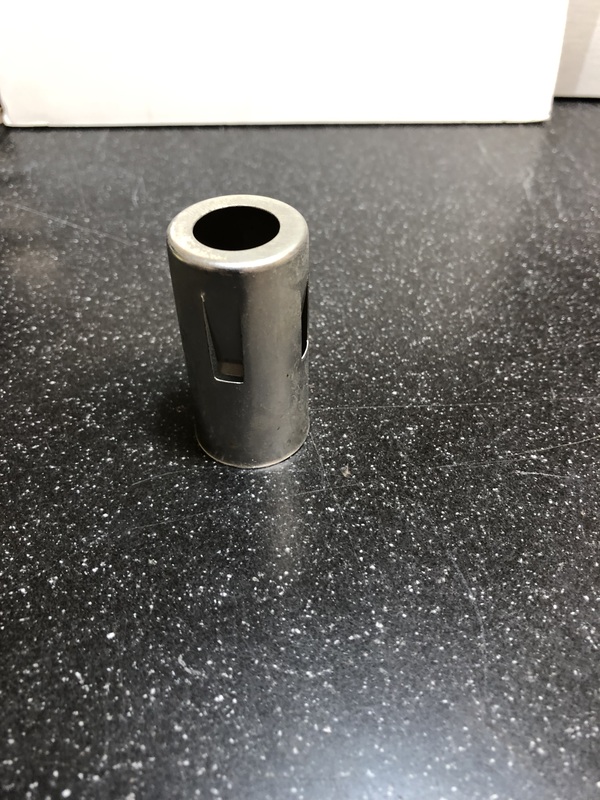 Most other tube dampers are not substantial enough to effectively damp vibrations really well and offer no cooling, and other tube coolers do nothing for damping vibration. The Brass Ring does both. Only metal tube dampers have the mass to halt vibration, and our special shock absorbing grip system does it especially well. Being metal, it is a perfect tube cooler, and good cooling may extend the lifespan of your valuable tubes. Custom handmade and available ONLY from Brent Jessee Recording & Supply, Inc. NEW: please specify if the dampers will be used on high bulb temperature tubes such as the 5687, 6BQ5/EL84, 6CA4/EZ81, 6X4, etc. as we have a high-temperature version of the metal damper available using a pure Teflon cushion insert. CLIENT COMMENTS: "Hi, I received the Brass Rings today and I have to say their effect was pretty remarkable and a big improvement over the Teflon rings I had tried. Much improved focus, imaging, and dimensionality. If I had more than one tubed component, I would buy more of your Brass Rings! Thanks for a great product." �"The Brass rings are simplicity at their core, and concerning the sound, what little overhang I might of had in the Bass is all gone.� The pre-amp is located in between the huge speakers-no other option- and what little sonic abnormalities I had are all a specter of my past now. Thank you so much and will be dealing with you soon again.� Talk soon, your friend, J. M."
Brass rings received. They work very nicely: deeper, more sustained, articulate bass, and in general, tones across the spectrum have a weightier yet articulate presence. In other words, sweet! I received�the brass ring and was pleasently surprised. Prior to it, I was using a slicone ring which I thought was ok, however, now I know better. Much more clarity, which is what I wanted. Stop tube vibration, microphonics, and electromagnetic hum problems dead with the massive, solid copper "Copper Stopper" tube damper. This unique tube damper/tube cooler is the most massive on the market. Made entirely of solid cast copper, it completly sheaths the tube within it's sixteenth-inch thick walls. A long cushion strip inside contains dozens of shock absorbing "fingers" that grip the tube gently. The combination of the heat resistant cushion, plus the sheer mass of solid copper surrounding the tube eliminate even stubborn ringing or microphonic problems. The damper can be adjusted up or down on the tube, effectively shielding the plates completely. It can also be lowered completly to the point at which it touches the metal chassis of your equipment, effectively grounding out stray RF or electromagnetic hum fields. It's large outer diameter effectively doubles the heat-radiating surface area of the tube, and it vents heat away from the tube like no other cooler can. Our listening tests reveal The Copper Stopper brings the music into sonic focus, puts air around the perfectly placed instruments, and both deepens and widens the soundstage. Forget those puny wire or plastic tube dampers, or ineffective finned tube coolers. This burnished solid-copper damper/cooler beats them all! Custom handmade and available ONLY from Brent Jessee Recording & Supply, Inc. Specify 9-pin or 7-pin size when ordering. NEW: please specify if the dampers will be used on high bulb temperature tubes such as the 5687, 6BQ5/EL84, 6CA4/EZ81, 6X4, etc. as we have a high-temperature version of the metal damper available using a pure Teflon cushion insert. The Copper Stopper works great! It barely fit in my amp (the Brass Ring was much easier to install), but I'm sure glad I'm able to use it. The Ring provided a nice improvement in sound, but the Stopper is noticeably better....... a sharper, clearer image. Both of these products are excellent, and will fit where a lot of similar products may not fit. "The dampers arrived, they are very good, I'm using the Copper Stoppers in the down position (touching the chassis) on my Air Tight ATM-300. I can hear a better soundstage and air around the instruments... congrats !!! A more focused image, too. " I just received the copper stopper.�� Man!! !��� That thing makes not only my microphonic tubes function and sound great, but it also drastically improves the sound of every tube I tried it on!!!! !�� NO KIDDING.� The copper stopper gave every tube a more solid sound without compromising all the detail and layers of sound from the tube. My Copper Stopper arrived in the mail yesterday and I am absolutely thrilled to find out that once installed, my precious long-plate 1958 Mullard 12ax7 is no longer microphonic!! I was so concerned I'd have to shell out the big bucks for another vintage Mullard tube or simply be forced to use this tube in a phase-inverter position or in another amp. This tube has been the magic ingredient in my 18 watt guitar amp and now it's fully functional once again. I put it through the test at full throttle for about 1/2 hour and no microphonics any more. Simple, yet ingenious, so thank you. 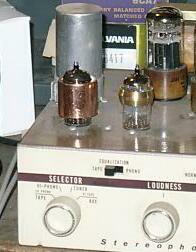 "Just received my 4 copper stoppers which are now on my 12AU7 input tubes for home stereo monoblock amp use. The units allowed a good bit of additional detail (especially in the higher frequencies) to come through the speakers. A very, very good expenditure." Made for the US Military, military spec number MS-24233-5, these aircraft grade aluminum shields completely surround your sensitive 9 pin glass preamp tubes. Inside, from the mid-section to the top, there are two rows of 21 spring steel "fingers", in alternating up-down positions, that gently grip the tube. These 42 total cushions give the most intimate contact of the damper to the tube, more so than any other damper on the market. 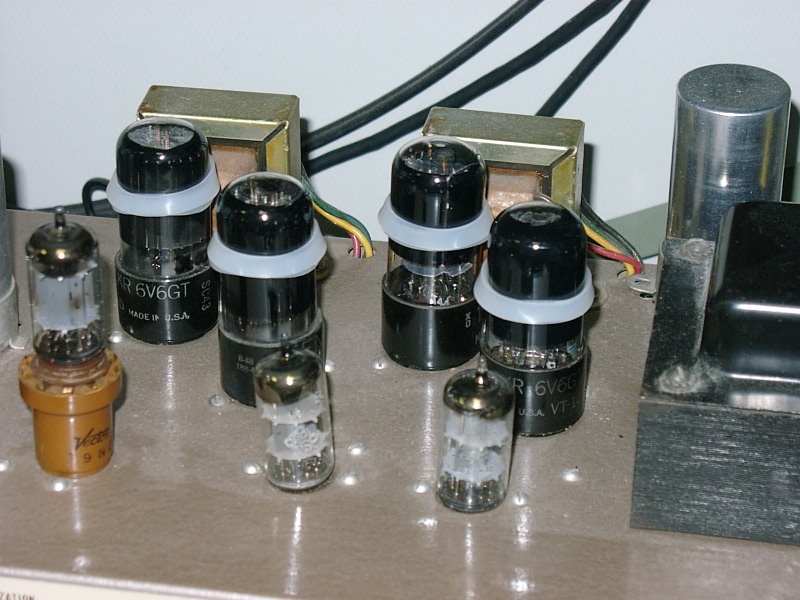 The total surround of the tube blocks RF and EMI noise that can enter the audio signal path, and the damper can be pushed down to make contact with a metal chassis to create a ground path for this noise. The black anodized aluminum quickly absorbs heat and radiates it away from the tube, and the inner surround metal cushioning fingers give vibration damping to the tube to a higher degree than any other damper. These are new old stock military tube damper/shields, and are not currently being made. These fit any 9 pin preamp tube such as the 12AX7, 12AT7, 12AU7, 6922, 6DJ8, 6U8, 7199, 6CG7, 12BH7, and any others this size. 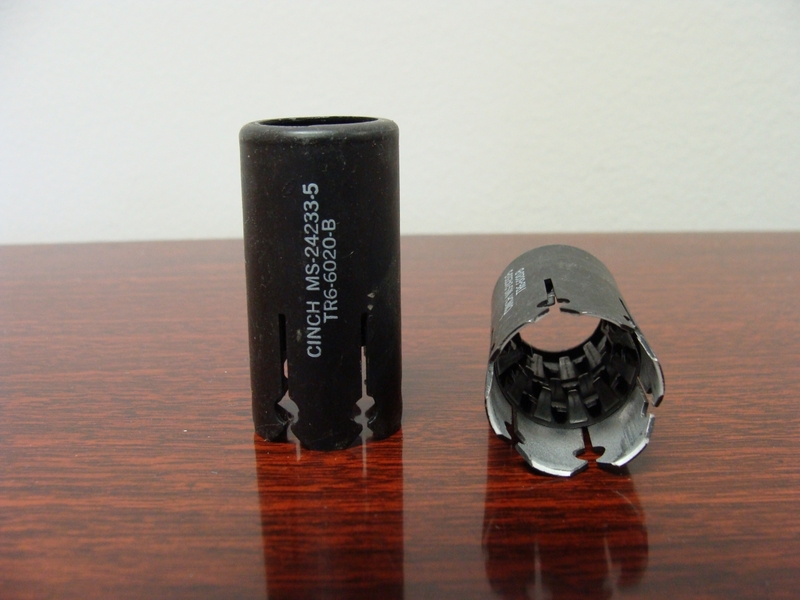 They will also fit larger 9 pin power and output tubes such as the EL84/6BQ5, 6CA4/EZ81, 6BM8, etc. Give your amp or preamp a very cool, military look, and hear the difference that this degree of tube damping makes with your sound! NOTE: You should not use any brand or type of metal tube damper/cooler on a tube unit where the tubes are mounted upside down. The metal damper/cooler could fall off an upside-down mounted tube, causing damage to other components in your set. We also do not recommend using metal tube damper/coolers of any brand or type on tubes directly mounted onto Printed Circuit (PC) boards where the PC board solder connections are directly exposed in the vicinity of the tube. Should the damper be dropped, or pushed down onto the solder connections of an energized PC board, it could cause a short-circuit causing equipment damage and possible shock hazard. Glass tubes are fragile and contain a high vacuum. If broken, there is danger of injury from sharp glass and flying glass. Never force or twist any type of damper onto a tube. Tube equipment contains high and hazardous voltages that can be lethal, even for a time after the unit has been unplugged. Be safe, never install the dampers on tubes still mounted in equipment. Remove the tubes first. If in doubt, consult an amplifier technician to mount the dampers for you. Stop tube vibration, microphonics, and annoying ringing (in guitar amps) with these high temperature silicone rings made especially for power tubes and larger GT tubes. These silicone rings are made especially for power tubes like the 6V6, EL34, and large GT twin triodes like the 6SN7 and similar. The construction is silicone, which shrugs off high tube temperature and stretches to conform to various power tube sizes. Sold in pairs of two, the damper can be adjusted up or down on the tube, and you can use one or both for maximum damping effect. 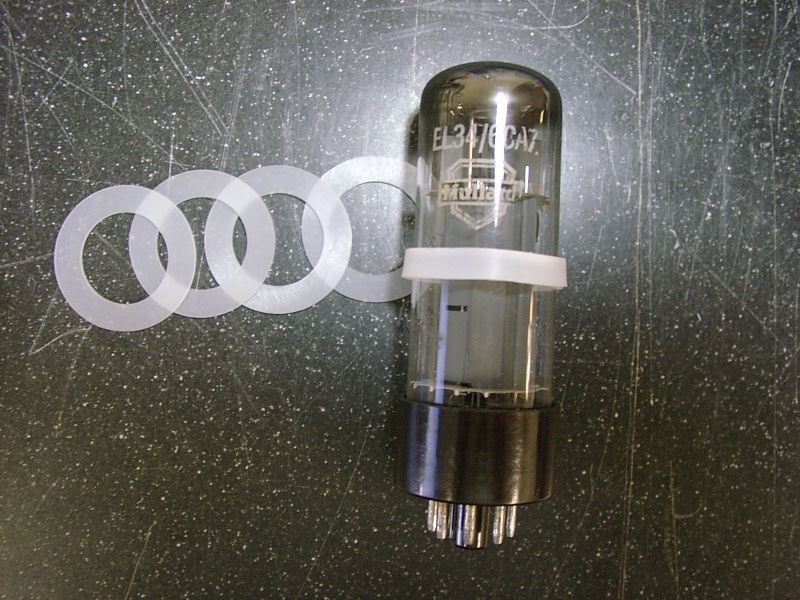 When the matched pair of two rings is put snugly around a power tube, they will hug the glass and dampen even stubborn vibration. Unlike metal dampers, there is no danger of them falling off if the tube is mounted upside down, and they are not electrically conductive so there is no danger if they are dropped onto a circuit board. Our listening tests reveal The Silicone Stopper brings the music into sonic focus, puts air around the perfectly placed instruments, and both deepens and widens the soundstage. Forget those puny wire or plastic tube dampers, or ineffective finned tube coolers. This simple translucent white silicone damper beats them all! Custom made and available ONLY from Brent Jessee Recording & Supply, Inc. $4.99 for a set of two rings. Two rings are recommended for each tube for maximum effect, although you can treat two tubes with one pair of rings, if desired. Questions? 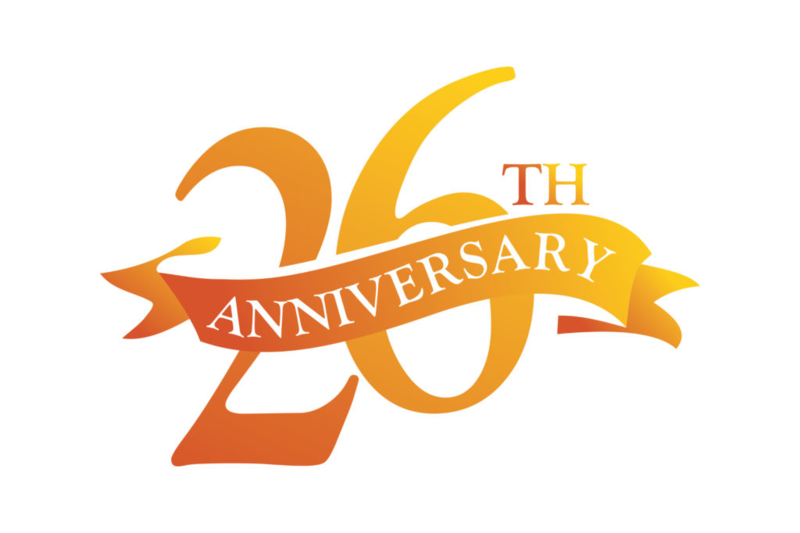 Call us at 847-496-4546 from 8 AM until 4 PM, Monday through Friday, USA Central Standard Time. Or, e-mail us.